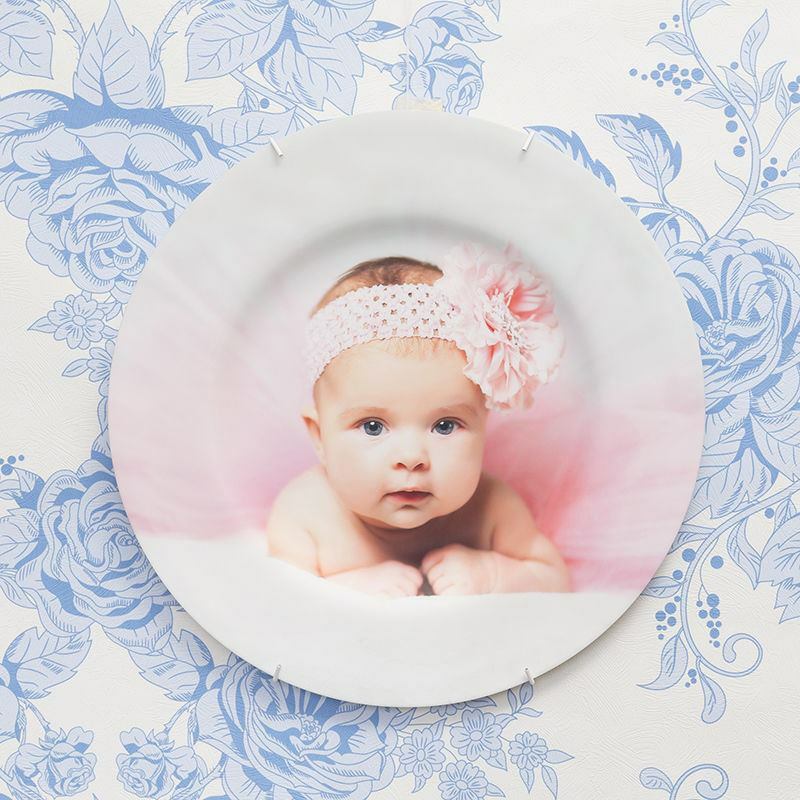 Decorate your walls for any season, event, or special occasion with our decorative wall plates. Using our simple online design system, decorate each plate with photos, text, a face or your own personal design. Custom Decorative Wall Plates also make for great gifts for any occasion: housewarming, Mother's Day, Christmas, birthdays, etc. From traditional images of flowers and creative art designs to personal photos of friends and family members, wall plates can look stunning on walls and living shelves or sideboards. Our decorative wall plates also make great gifts for special occasions, house-warming gift, mother's day present, and Christmas gift. If you are looking for some inspiration on how to decorate wall plates, think about random patterns, a montage of photos, overlapping patterns on plates, or have simple text and make a statement with your plate for your wall. Like many of our products, the Christmas plastic plates come with a quantity discount, so the more sets you buy, the more money you save. We print your designs directly onto the surface of the festive plate, using a specialist process that fuses the inks deep into the material, creating a permanent print that won't fade, peel away or scratch off. The reverse is left plain white, leaving your pictures to stand out and shine. Care: your festive Christmas plates are microwave safe for your convenience, perfect for reheating pigs in blankets and turkey leftovers. To preserve the life and quality of the print, wash by hand in hot soapy water rather than the dishwasher. Made from strong, shatterproof plastic they are virtually unbreakable, but we do not recommend using knives and forks, rather using them for finger food and nibbles. If you do want to print Christmas song lyrics or a favorite hymn, take into consideration the curve of the rim and ensure you double check the positioning in the design preview. To create a photo collage, upload several pictures, select all and choose from several montage styles or rearrange and edit the photos manually. Print a Christmas plate for each member of the family as an alternative name placeholder. Featuring their face, name and maybe a fun fact, this is a fun way to start dinner and the festive celebrations. This can become a yearly tradition that can be added to when new members join the family. Christmas songs and classic hymns look super stylish on these glossy plastic plates. Each one can feature a different chorus, and could even instigate a sing-along before pudding. A design like this would also look great with any color scheme, so you can change up your decorations each year but keep the plates as they are. Design a set of festive plates to complement the rest of your old, nostalgic decorations that can't be bought anymore. You could recreate the design of an old biscuit tin you've had for years and create a range of complementary memorabilia to bring out each year. This could also be a great gift set for grandparents to let them reminisce on past times. When you are creating your custom decorative wall plate, please take note of the bleed area within the design interface. You need to ensure that your image fills the whole area, otherwise, you will end up with uneven white edges and you will find that your final print is likely to be off-center. Keeping track of time couldn't be anymore fun. Our personalized round photo clock is an ideal gift to your empty walls. Personalized wall clocks.